Remember by default you are treated as a slumlord and your tenant is treated as an angel. So what happens if you have an oral lease agreement and you claim rent is x amount and your tenant claims rent is y amount? The angel is believed. Thus in order to rebut this presumption you need a written lease agreement. In fact in my jurisdictions (Primarily Prince George’s County, Montgomery County, Charles County & Washington, D.C) you’re not allowed to file for failure to pay rent without a written lease agreement except under very limited circumstances. These limited circumstances only apply to a very small percentage of landlords so do not count on them applying to you. And even if you could file for failure to pay rent without a written lease agreement, the angel is believed. So get a written lease agreement. Next, you need to have a landlord license if your jurisdiction requires it. Chances are your jurisdiction requires you to have a license to collect unpaid rent. 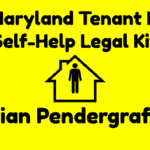 Practically everytime I go to landlord-tenant court I watch a landlord have his or her unpaid rent case dismissed in open court because they failed to present a license. Lastly, a landlord must prove any amount he claims the tenant owes with accurate book keeping generally shown through a rental history ledger. If the landlord cannot produce written records, he’s assumed to be a slumlord and the angel tenant owes nothing. 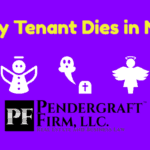 Remember, by default you’re a slumlord and your tenant is an angel, so if it comes down to just your word against your tenants, the angel prevails. 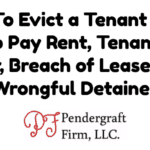 So how do you obtain the right to recover damages caused by a tenant? Documentation. Landlords must document (1) the before and after conditions of the property with walkthrough and inspections and (2) keep receipts and repair estimates to show the court. Without a properly done walkthroughs landlord has nothing to measure the alleged damage against. And as far is the court knows you’re a slumlord and rented out the place in that condition. In addition, without documented repair costs and estimates, and court will not grant you any damages. A landlord can use a security deposit to recover from damages caused by a tenant, after all that what it’s for. However many landlords do not know how to handle security deposits. I recently settled a security deposit case for a large amount against a landlord because he did not follow the security deposit rules to the T. Security deposit rules are very strict. I elaborate more on security deposit rules in my jurisdiction here. I hope this overview helped. I cover all of this and more in my book Planlord – The Landlord Primer. Planlord is a book I wrote based on experience to help landlords avoid the pitfalls that cost them thousands of dollars. I also have a facebook group anyone can join – Planlord – Legal Information For Landlords, a community for landlords and buy and hold real estate investors anyone can join to ask questions and help each other. Feel free to contact me directly at the contact info. in my bio. 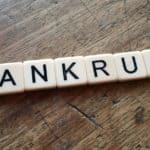 What Happens When A Tenant Files For Bankruptcy In Maryland? What’s The Difference Between a Title and a Deed to Property?